Though gone more than a year, the Lexington Club has staked out a permanent spot on its old corner of 19th Street Monday in the form of a commemorative plaque. 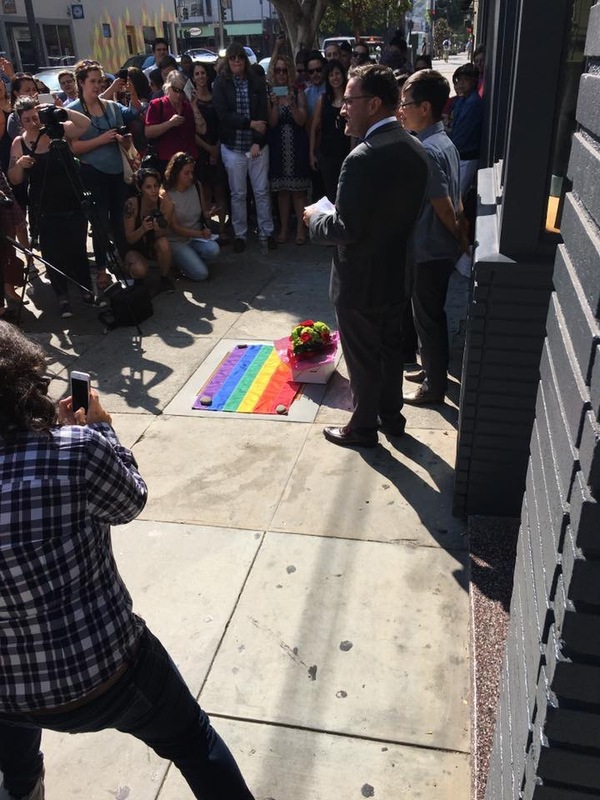 On Monday afternoon, owner Lila Thirkield, former staff, politicians and about a hundred fans of the bar turned out for the plaque’s unveiling and to celebrate the Lexington’s 18 years at 3463 19th St. Now home to the upscale Wildhawk, the iconic Mission lesbian bar closed in April 2015 following its sale to the Plumpjack Group. 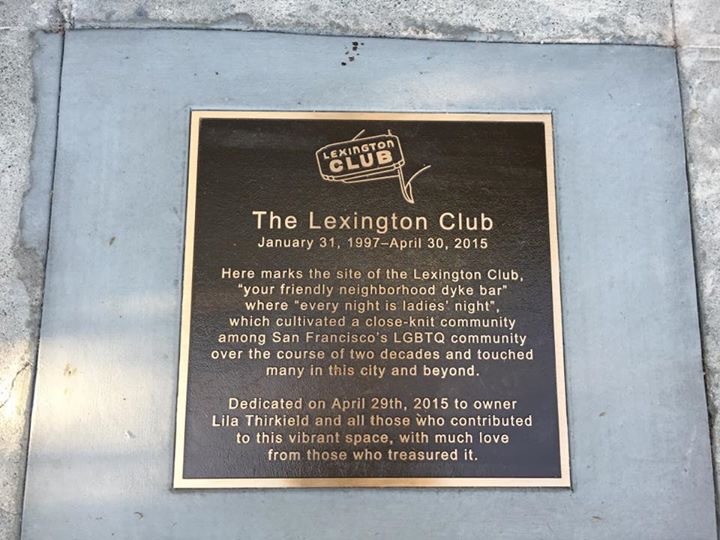 A Facebook page for the event notes that the “plaque recognizes the incredible contribution the Lexington Club made to the LGBT community in San Francisco, particularly in providing a space for queer women and trans people. 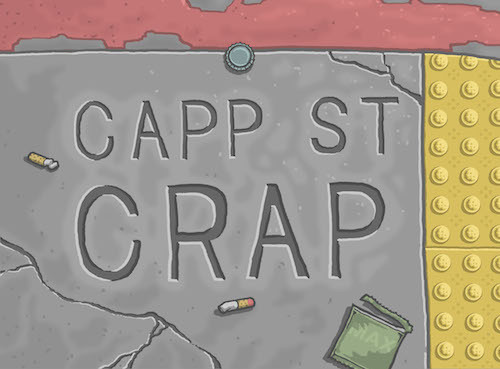 “During its 18 years of operation, the bar was known for its wild nights, “never a cover” slogan, famous restroom graffiti, great staff and community support,” the page says. This entry was posted in booze, Bars and tagged in Lexington Club, the lexington club.